“We need to have argy-bargy in public”, insists Rhoda Roberts, the Sydney Opera House Head of Indigenous Programming, who is celebrating the 49th anniversary of the Aboriginal Referendum in 1967 with a double-bunger – the first Indigenous art on the SOH sails lit up throughout the Vivid Festival, and a series of talks on the day, which she expects to be “dead provocative”. 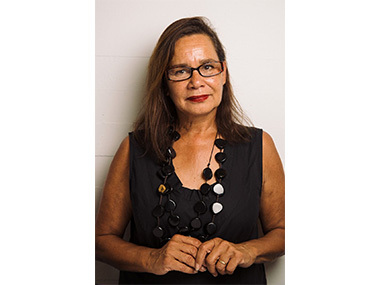 The inaugural Homeground Talks will take place at the Sydney Opera House on 27 May, providing an important new forum for unfettered conversations about contemporary First Nations issues. The discussion that evening is called Unfinished Paperwork: Recognition and Sovereignty. Treaty, native title and sovereignty remain hot issues in Australia and New Zealand: “They promise constitutional reform in 2017 – just a year away”, points out Rhoda Roberts. “But what the hell does it mean? On 27 May 1967 Australia voted 'yes' in a national referendum to give Aboriginal and Torres Strait Islander people status as citizens, but the recognition only went part way”. Meanwhile, Paul Muldoon, Senior Lecturer in Political Theory and Global Politics at Monash University, in the first of a series of articles on 'The Conversation' website challenged: “Reconciliation tends to falter in the face of claims for land rights or sovereignty for the simple reason that their favourable resolution guarantees indigenous people will, in one form or another, remain separate from, rather than integrated into, the nation-state”. 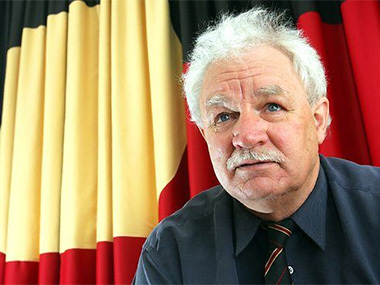 This panel will include the controversial Tasmanian activist, Michael Mansell, Rosalie Kunoth-Monks OAM – star of 'Jedda' and the woman who stopped the ABC's Q&A by stating, “I'm not the problem”! - and Tame Iti, a fully-tattooed Maori who has said, “When I walk my country, those who've stolen it will recognise that I am a warrior”. In the afternoon, the first panel will debate whether Aboriginal society is really Open for Business: Diverse Economies in First Nations Communities. Academic and mining advocate Marcia Langton AM, musician David Bridie, Manus Island activist, John Faunt and youthful environmentalist, Amelia Telford will examine some of the lesser-known economies at play in Indigenous communities, alternative business models and ways to work that may not garner the same media attention as mining income. Odd that there's no promoter for Indigenous art! 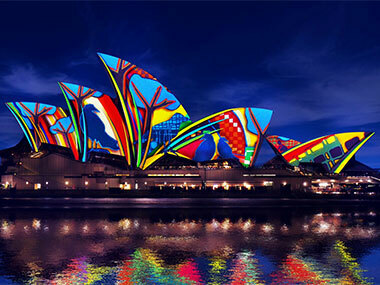 That night, the iconic building that symbolises modern Australia will unveil Songlines, an immersive artwork involving six Aboriginal artists which will animate the Opera House’s famous sails as part of Vivid Sydney, the world’s largest festival of light, music and ideas. A carefully balanced selection of artists adds up to 3 men and 3 women, 3 urban and 3 remote artists. Making up a Songline that starts in East Arnhemland is work by the late Gulumbu Yunupingu – mistress of the skies and stars; it then swings down to Aranda Country with Yam and Seven Sisters Dreamings from Gabriella Possum, Clifford's daughter; and then the Songline heads back north to The Kimberley where it encounters Donny Woolgoodja's famous Wandjina imagery. Rhoda Roberts explains: “This is the essence of the mapping of this country, the knowledge and archives that we're on the cusp of losing as the Old People like Mrs Yunupingu die. All the ancient legends start – like this one – with the arrival of women from the East; and when it gets to The Kimberley, the Wandjina send the winds back to the East. Legends, weather and trade routes are all interwoven like a fish-net in our lore; how amazing that they've survived being outlawed and been maintained despite everything”. The artists participating from the South-East are Karla Dickens, Reeko Rennie and Djon Mundine. Dickens offers “so much story”, says Roberts, “from Big People to native flora”. Rennie's art is based on skin markings and scar tree patterns. But Roberts points out that the pattern of the tiles on the Opera House roof has strange similarities, something far from the Modernist mind of Jorn Utzon when he devised this building for the site that was the traditional gathering place of the Eora Nation. Divisions within that nation have denied Djon Mundine his Sydney Biennale project to reproduce traditional rock carvings on the walls of the Tarpeian Rock at the back of the SOH forecourt. Now his plans will come to life on the building's roofs with the assistance of the “phenomenal” (Rhoda Roberts' word) Art in Motion company that has, year after year, built upon the Vivid experience with its mastery of the technology required to animate those shells. “I want the Harbour to come alive with ancient voices throughout Vivid”, declared Roberts roundly. “But as Head of Indigenous Programming at the House, of course, I'm trying to embed that stuff all through the year”.